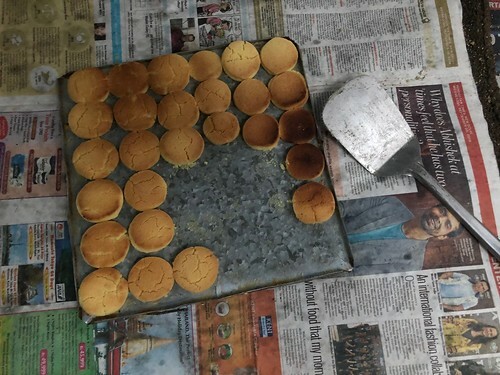 Nankhatai is like Indian English – a foreign import slapped, beaten, fermented and baked by us Indians till it becomes total desi. An egg-less cookie, its origins are traced to 16th century Dutch colonisers. 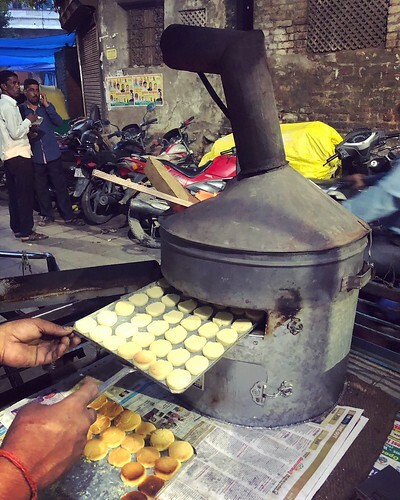 It was first made by the entrepreneurial Parsis in Surat bakeries in modern-day Gujarat, which were set up by the Dutch who quit India in 1825. 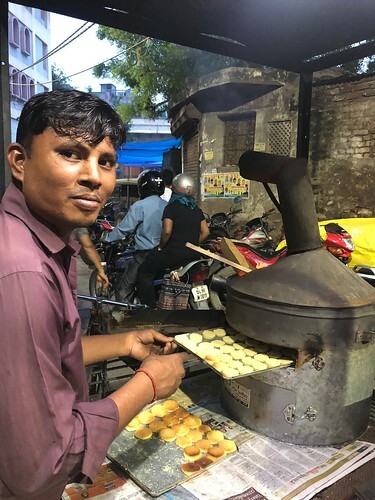 Though those Dutch could never make it to Delhi, their legacy is left behind in these crumbly cookies sold along the city streets. 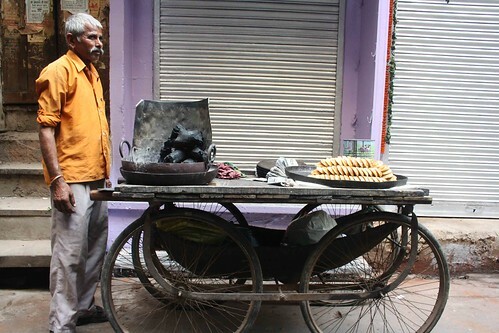 A typical nankhatai bakery is carried on a humble cart. 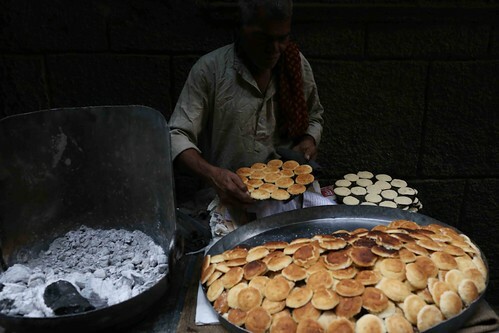 The hawker prepares the dough by mixing suji, maida, besan flour with khoya, sugar, desi ghee, cardamom powder, baking powder and bicarbonate of soda. He then shapes the dough into dozens of circles, which are arranged on a large platter and placed on a coal-fired salver. The platter is covered with a karahi and the little moons are left to steam for five minutes. 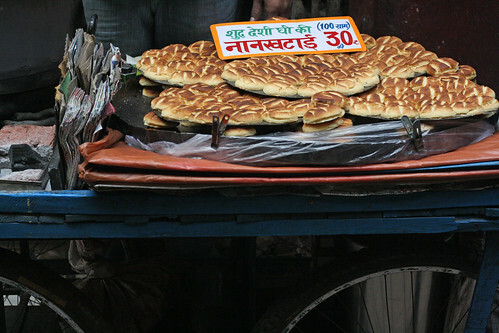 Eaten while still hot, nankhatai is soft, buttery, and, because this is a Delhi street, very sweet. You can find it in almost every cramped neighbourhood, though there’s something truly special about Raju’s cart (see top pic). 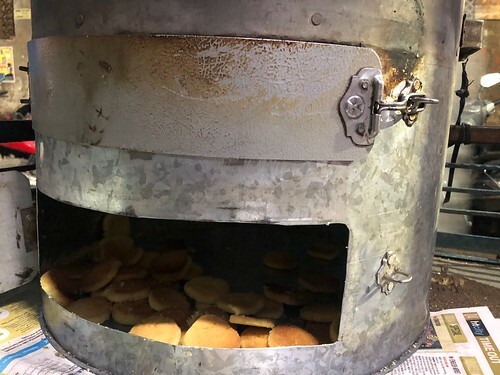 He uses a weird-looking oven to bake his nankhatais. It has the shape of an old-fashioned gramophone. 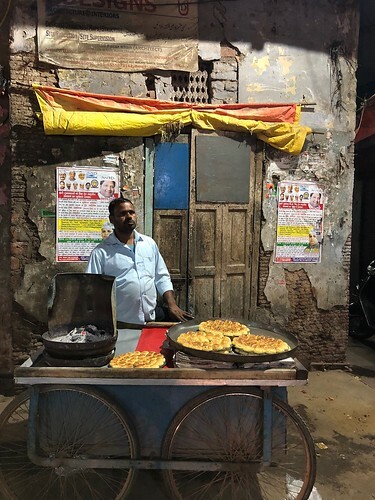 Raju also has a loudspeaker from which legendary film villain Gabbar Singh exhorts the passersby to try Raju’s nankhatai. You’ll find Raju wandering about in Sarai Kale Khan. He is worth the trouble of braving that locality’s dusty streets.